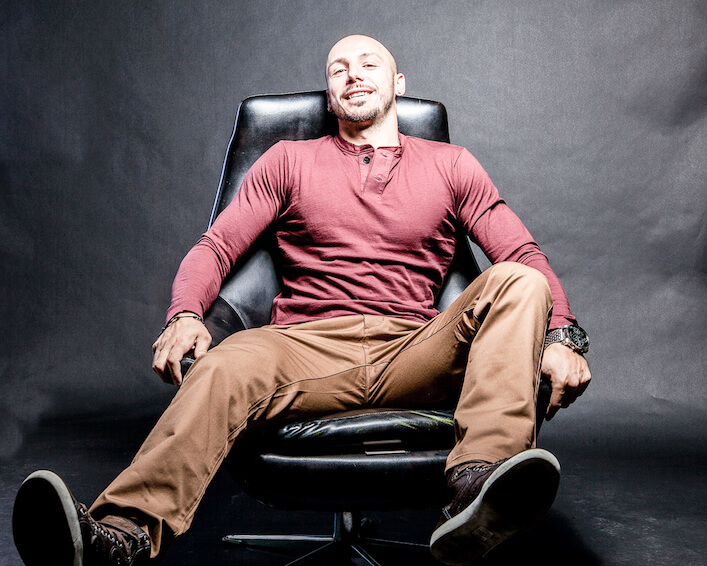 Luka Hocevar is an entrepreneur, fitness coach, and owner of Vigor Ground Fitness. Vigor Ground is an amazing facility located in Seattle that focuses on helping clients achieve their fittest version of themselves through customized fitness programs. Luka joins me today to share his passion for fitness and his strategies in designing training programs for his clients. He describes what his facility is all about, how it came to be, and the type of culture they seek to nurture. He explains the importance of belonging and how being part of a tribe is critical to any fitness club. Luka also deep dives on his sales strategies and differentiates between persuasion and manipulation. MR Monologue: Why serial batching and learning are critical elements of productivity and performance. What Luka’s been up to recently and his plans for 2019. Collaborating and networking with other entrepreneurs to achieve goals. Why he decided to open a gym. The tribe mindset and how it attracts people to join a gym. What is an “Avatar” client? What his sales process and strategy looks like. How to sell a premium fitness program. The difference between manipulation and persuasion in a sales context. Advice to people who want to open their own gym. Are you ready to take your program design game to the next level? Learn what it takes to level up your program design skills with the RTS Program Design Mentorship program! The RTS Program Design Mentorship program leaves no stone unturned for writing an awesome fitness program. So, are you ready to take your program design skills to the next level? Apply for the RTS Program Design Mentorship program NOW! Email [email protected] with the subject line “Program Design” to request your application. But hurry – this offer expires February 18, 2019! Thanks for tuning into this week’s episode of The Physical Preparation Podcast – your one-stop-shop for fitness trainers, coaches, and athletes. If you enjoyed this episode, please subscribe on iTunes, Stitcher, and SoundCloud and leave your honest review. As well, we’d love to connect! Hit us up on Facebook, Twitter, and Instagram or visit our website. What a rare pleasure to come across someone who is real and sincere!! Didn’t even talk about x’s and o’s – and this was more valuable than most conversations.